UK costs will numerically match those of the US, meaning that a program that costs $0.99 will now be 99p. That represents a 25% rise over the previous currency conversion, which was 79p. Apple had already adjusted the UK prices of its iPhones and iPads in September and then its Mac computers in October by a similar degree. Other tech firms to have announced price rises in the country in the months following the Brexit vote - which has been linked to a fall in sterling's value - include Microsoft, Dell, Tesla and HP. To mitigate the impact of the latest increase, Apple is introducing new lower-price tiers. Publishers will be able to charge users 49p or 79p for purchases but will have to re-price their products to do so. "I don't think many publishers will respond to that change," commented Ben Dodson, an app consultant and developer of Music Tracker among other software. "It's just throwing money away and there's no reason to give people in the UK a discount. "I won't be discounting my own apps." At present, $1 trades for 82p. However, the price quoted by Apple in the UK version of its store includes the 20% VAT sales tax. In the US, state sales taxes are not included in advertised prices but are added at the point of sale. 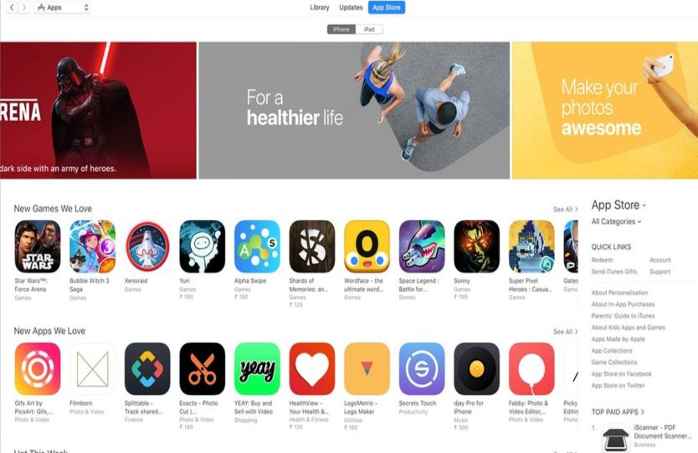 "It was certainly inevitable that Apple would change the price point for apps in the App Store to reflect currency changes," commented Ian Fogg from the IHS Technology consultancy. The cost of a $0.99 app will become 80 rupees in India, representing a 33% rise from the previous price of 60 rupees. In Turkey it will change from 2.69 to 3.49 lira, which is a gain of 30%. The news site 9to5Mac was first to report the development. It said the change would occur over the next seven days. Apple has also altered the cost of apps in Romania and Russia to take account of local changes to VAT made at the start of the year.